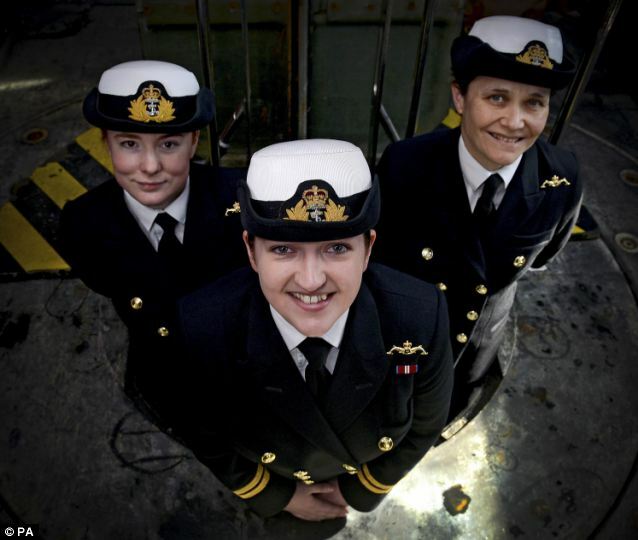 Three women have made history by becoming the first female submariners to serve in the Royal Navy. 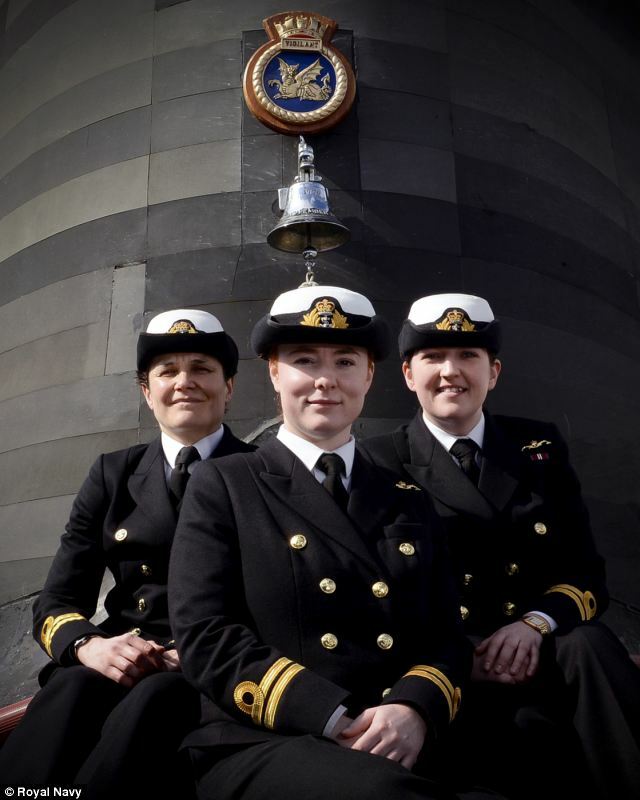 Lieutenants Maxine Stiles, Alexandra Olsson and Penny Thackray have completed months of specialised training to earn their ‘Dolphins’ – the clasp worn by qualified submariners – becoming the first women in the 110-year history of the Navy’s Submarine Service. For years women were unable to serve on submarines because of possible health risks but, after an independent review found that only pregnant women should not serve, Philip Hammond, the defence secretary, lifted the ban in December 2011. 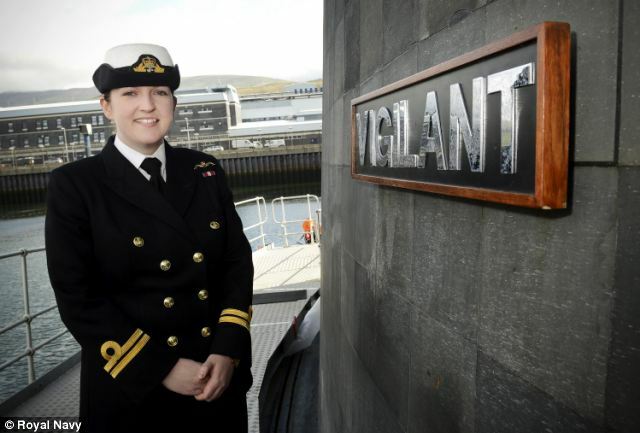 Following the arrival of woman officers, female ratings (non-commissioned personnel) will start training later this year with a view to serving on Vanguard submarines in 2015. 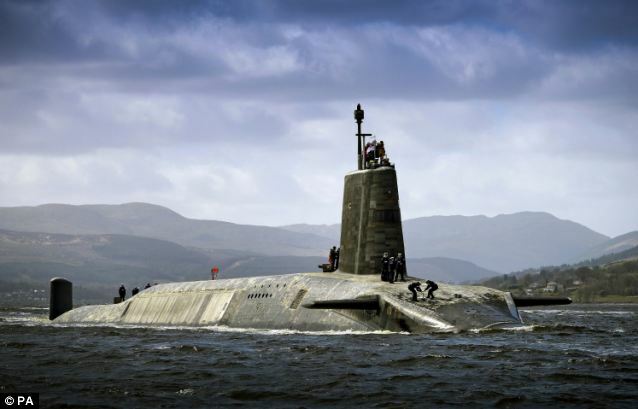 Female personnel will also be able to serve on Astute-class submarines from around 2016. 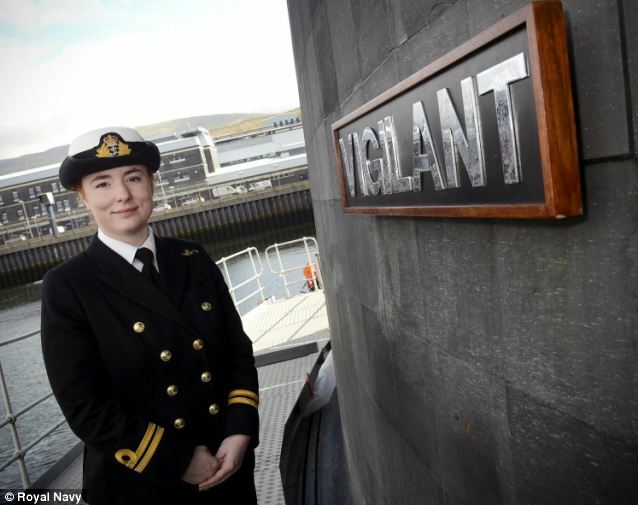 During their training, previously only undertaken by men, the three women officers conducted operations on nuclear-powered Vanguard-class submarine HMS Vigilant, passing their rigorous final exams with flying colours, and will now embark on careers in the Submarine Service. Lt Stiles, from Ashton-under-Lyne, Greater Manchester, said: ‘I wanted to be able to say that I had made the most of every opportunity that I had been given in the Navy. Lt Olsson, 26, from Tranmere, the Wirral, was inspired to volunteer to serve on submarines after childhood visits to see HMS Onyx at the Maritime Museum in Birkenhead. ‘I felt like a little sister to 165 brothers. You live as a very strange family. Once we got qualified they were glad for us the same way they had been glad for hundreds of submariners before. She added: ‘We did a long patrol, we’ve come across most things people want to know about, like how you live and how the guys get on with you. ‘I know there’s people who are interested but they haven’t been able to make an informed decision. Describing the living conditions on board, she said: ‘It’s slightly more cramped that you would be used to. Actually you bring your perspective in so you don’t see the lack of space anymore – you see the space that’s there. ‘It’s a bit of an odd place to live – everything smells the same, it all has this diesel oily smell which you have to get used to. But it’s not a horrible place to live. After their training, Lt Stiles will continue her logistics officer post on board; Lt Olsson is undertaking deputy weapons engineering officer training; and Lt Thackray will become an education officer. 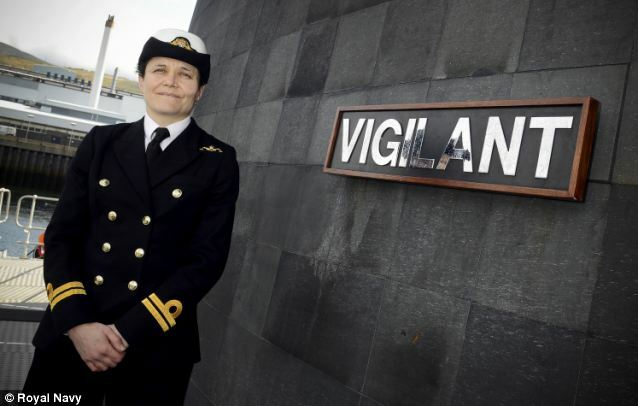 HMS Vigilant’s commanding officer Commander Matt Dennis, who oversaw their training, said: ‘I was impressed with how seamlessly the three women integrated on board. ‘They qualified without any difficulty and two of them even completed additional training whilst at sea. 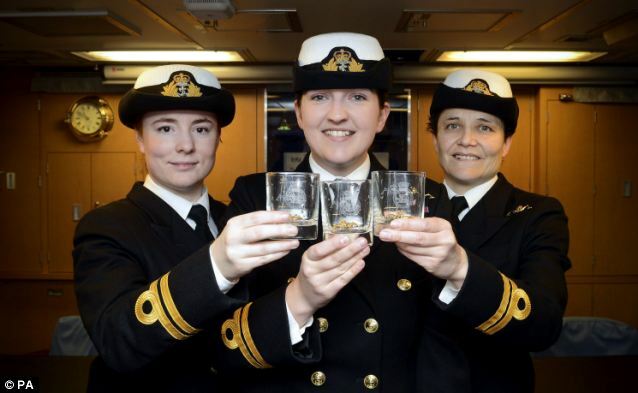 Second Sea Lord Vice Admiral David Steel said: ‘Women have been serving in ships at sea with the Royal Navy for more than 20 years and integrating them into the Submarine Service completes their inclusion into all seagoing branches. This entry was posted in The world's submarines, UK Submarines and tagged HMS Vigilant, Submarines, Women on submarines on May 5, 2014 by jasonlockley. Could someone explain to me why they are all officers, and not one rating among them. Is it perhaps cleaning out the bilges will break their finger nails – poor dears. Oh yes, they have got their own accommodation, whilst all of the men will be crammed into smaller spaces to allow these three wren officers privacy. They will get all the soft jobs whilst the men get all the graft. I was never for woman in ships, and still disapprove of it. Glad to say I served in a Man’s Navy. I spend 6 years on submariners and I am for equal rights but in the tight quarters on submarines, it is not far to the men on board just to be politically correct. Come on boys. What century are you living in? It is good to see that as when I got my Dolphins from Sam Salt on the Dreadnought, these ladies had to drink the rum to get to the dolphins at the bottom of the glass!